Eat more protein. Protein and the amino acids they contain are essential for hair growth. A diet rich in protein from various sources can be a key to resilient and growing hair. Eggs, fish, and beef are excellent sources of protein, as are beans, lentils, and soy. Reduce your stress level. Stress can cause or contribute to a wide range of physical and psychological problems, including weight loss and gain, cardiac and digestive issues, depression, and, yes, hair loss. Overproduction of stress hormones contributes to adrenal fatigue, which is caused by the overproduction of cortisol in the body. In turn, this excessive production leads to the underproduction of hormones like aldosterone and androgens. Since these hormones are necessary for healthy hair growth, an insufficient supply will result in thinning or balding hair. 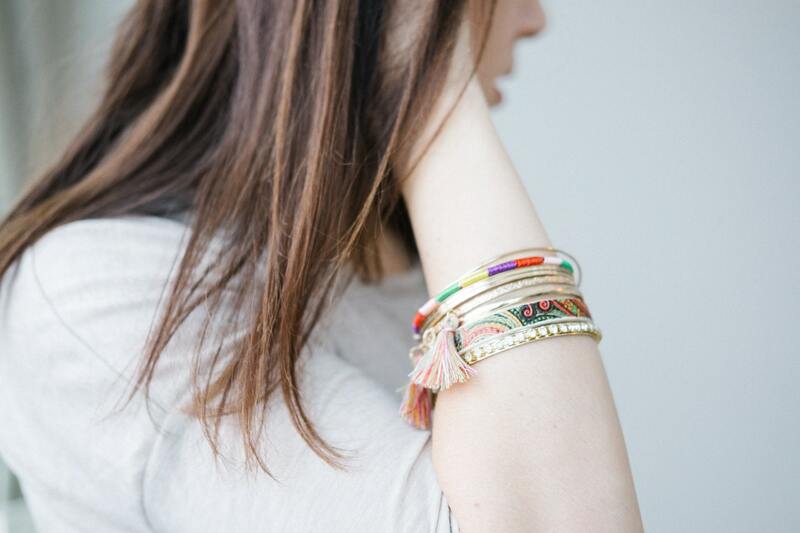 Find ways to alleviate day-to-day stress that work for you. Pump iron. Iron deficiency – anemia – is one of the chief causes of dietary-related hair loss. Low iron levels restrict necessary blood flow – reducing the amount of growth-stimulating nutrients our follicles receive. Iron-rich foods like spinach, kale, broccoli, and other leafy greens can boost your iron intake and help feed your hair. Get more sleep. Adequate sleep is essential for our overall health since our bodies expend a lot of energy during the day and need time to recharge so the body can function as it is supposed to. One of these functions is repairing and regenerating hair follicles. That simply won’t happen without enough sleep. 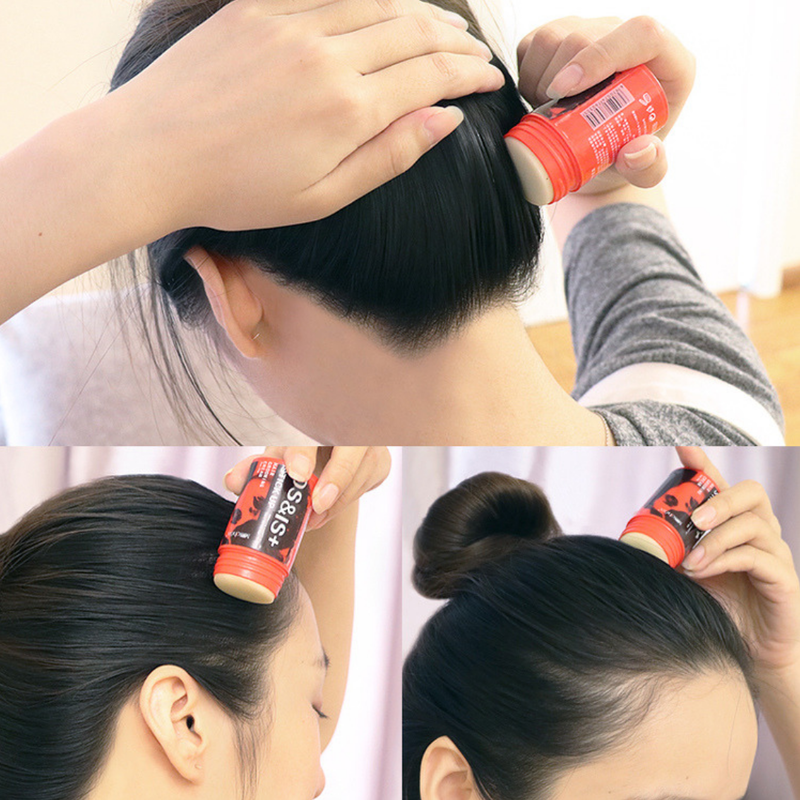 Instead, hair will stop growing, weaken, and eventually fall out more than it otherwise would. Stay hydrated. Just as a plant won’t grow and will ultimately die without water, your hair needs to stay hydrated to stay healthy. Hair is one of the first parts of your body to show the effects of water, vitamin, and mineral deficiency. Hair shafts are composed of approximately 25 percent water, and a lack of moisture weakens those shafts. Make an affirmative effort to push fluids – at least 64 ounces of water per day. If you are concerned about your hair loss and are ready to do something about it, we invite you to schedule a hair loss evaluation at Miami Hair and Skin. Drs. Nusbaum and Rose are internationally acclaimed hair restoration surgeons with more than 40 years of combined experience. To receive your personalized evaluation and treatment plan, contact us online or call our office directly at 305-925-0222. 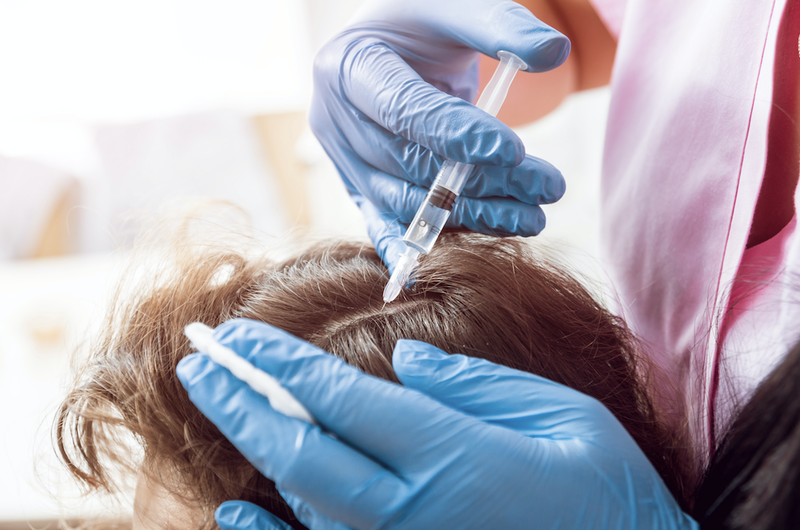 Numerous hair restoration doctors have advocated the use of platelet-rich plasma (PRP) as a means to improve hair growth and limit hair loss. The use of PRP for wound healing has been well documented. It has been used for problems ranging from orthopedic injuries to dentistry. In this July/August edition of the ISHRS Forum International, Miami Hair doctors, Dr. Paul Rose and Dr. Aron Nusbaum, evaluate the concentration of platelets produced by four different commercially available systems. The platelet counts in the PRP were compared to the whole blood concentration of platelets in each patient. The results demonstrated a wide variance in platelet concentrations among the different systems. 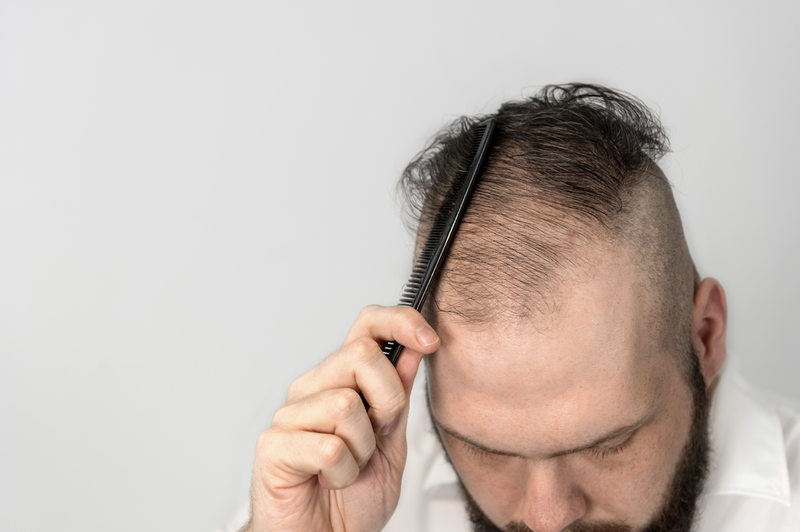 The end result of hair loss is the same for everybody: hair that winds up on the shower floor, stuck in a brush, on your pillow, or pretty much anywhere other than your scalp. But how that hair falls out, where it falls out, and why it falls out can vary from person to person. People lose and shed their hair for different reasons, and those reasons will play a role in how baldness or thinning hair will manifest itself. There are two primary hair loss patterns experienced by both men and women: progressive and diffuse. Understanding the differences between the two can help you identify your hair loss problem earlier and guide you as you seek options for stopping further loss and restoring your hair to a fuller, natural state. Accounting for over 95 percent of hair loss cases, progressive pattern baldness, also known as androgenetic alopecia, is a hereditary condition that causes hair miniaturization. This phenomenon causes hair follicles to become thinner and finer each time they progress through the growth cycle. Eventually, the follicles cease to grow at all and fall out. Progressive pattern hair loss follows a familiar and predictable course. In men, it starts with shedding in the front of the scalp above the forehead that causes the hairline to recede gradually. This progresses to more noticeable hair loss across the top of the head, and finally toward the crown. In women, androgenetic alopecia acts differently, occurring throughout the scalp rather than in specific, isolated areas as it does in men. Men are more likely to notice and experience pattern baldness earlier than women. 25 percent of American men see symptoms of male pattern baldness before the age of 21, approximately 66 percent of men suffer some degree of hair loss by age 35, and 85 percent of men see significant thinning related to androgenetic alopecia by age 50. About 40 percent of women experience pattern baldness but may not see any signs of thinning hair until the age of 50 or 60, long after the shedding starts. 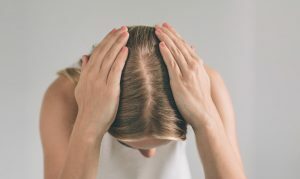 As opposed to pattern baldness, which you can blame on your genes, diffuse hair loss is usually caused by environmental factors such as stress, hormonal imbalances, or trauma. These issues cause a condition called telogen effluvium in which hair follicles are shocked into a resting state. Since the follicles are not actively producing more hair to replace normal shedding, the thinning occurs in a diffuse pattern throughout the scalp. 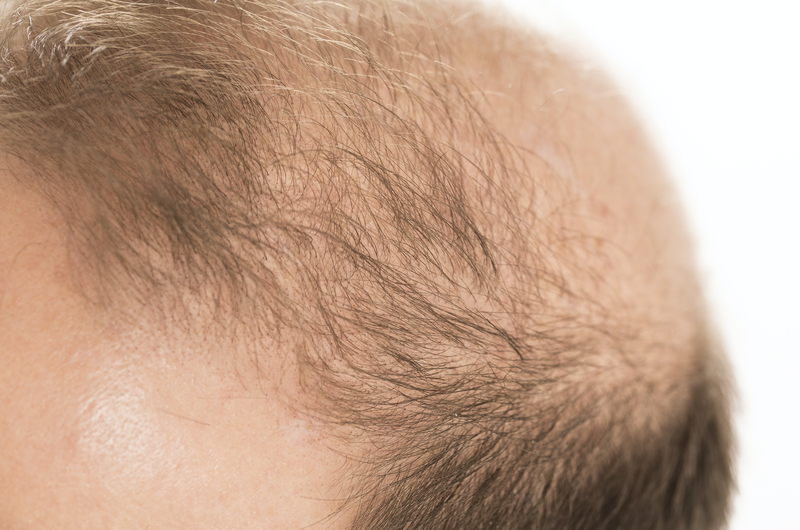 If the factors which are causing the thinning can be addressed and resolved, the follicles often return to their normal healthy state and fully regrow without surgical intervention. No matter how your hair loss issues become apparent, the first step towards fixing the problem is arranging for a comprehensive hair loss evaluation. Early detection, diagnosis, and treatment provide the best chance of stopping further hair loss and restoring the hair you’ve lost. Schedule an appointment with the Hair Transplant Institute of Miami today by calling us at 305.925.0222. We look forward to assisting you. 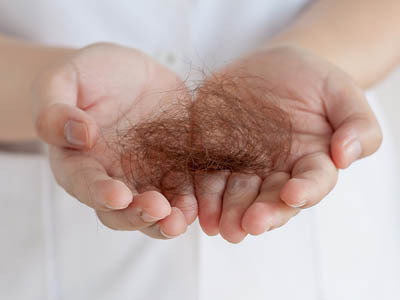 Most people who experience hair loss are at the mercy of their genes. Male pattern baldness and androgenetic alopecia are hereditary conditions and the most common reasons for hair loss. While we can effectively address these conditions through hair transplant surgery, medication, and other treatments, we can’t (yet) change the genes that cause hair loss in the first place. But some problems with shedding and loss are based on our behavior rather than our genes. Traumatic and traction alopecia are hair loss conditions that can arise because of the way we treat our hair. That also means we can minimize hair loss from such conditions by changing our behavior. What is Traumatic and Traction Alopecia? If you put lots of stress and strain on your body, it is going to do some damage, even temporarily. You stay out in the sun too long unprotected, you will get sunburn. If you run a marathon, your muscles are going to ache (to say the least). If you try to lift a heavy object the wrong way, you could throw out your back. And if you apply constant tension to your hair follicles, those follicles will eventually experience damage, weaken, and ultimately die and fall out. This is traction alopecia. Wearing unnecessarily tight ponytails, pigtails, or braids for a long period of time. Trichotillomania, a mental disorder characterized by incessant (and often unconscious) hair twisting, plucking, or pulling. Hairstyles that require hair to be tightly wound for a prolonged period. Hairpieces and weaves that must be affixed / clipped to the hair. Helmets, particularly compression-helmets like those worn while playing football, snowboarding, skiing, horseback riding, etc. Change isn’t always easy, but changing behavior which leads directly to hair loss is the best way to minimize shedding and hair loss due to traumatic or traction alopecia. For example, if you wear braids, try making them less tight and taking them out at night. 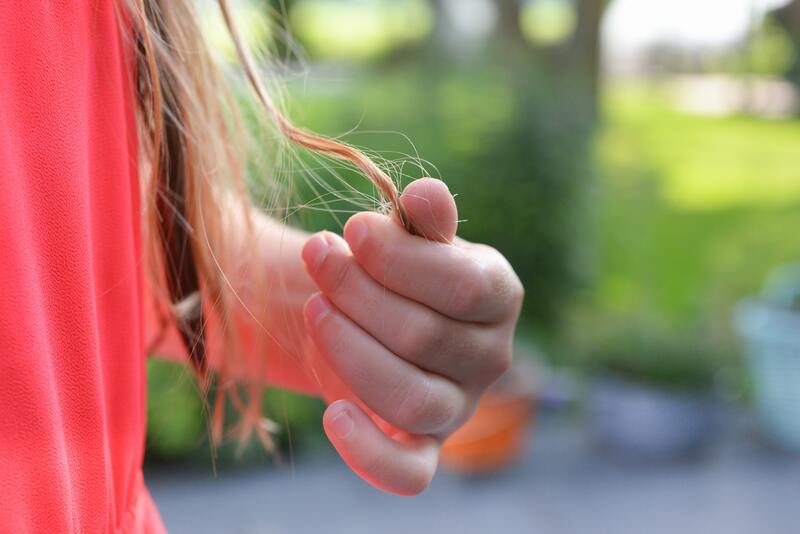 If you unconsciously twist and pull on your hair, you may need to explore the triggers or reasons you do so and/or seek professional help you modify this behavior. While changing the conduct which causes traction alopecia can prevent further hair loss and damage to your follicles, restoring the hair you’ve already lost may require treatment by a hair loss physician. At the Hair Transplant Institute of Miami, we know how to help men and women restore their hair and their confidence no matter what the underlying cause of their hair loss. If, as they say, the eyes are the windows to the soul, then your scalp and hair can be a mirror reflecting your health. Your hair follicles and the skin on your scalp change as you age, as do many other aspects of your health. What you see going on up top may be the result of changes or other issues going on inside your body. So, what does your hair and scalp say about you? Often, changes in your hair such as hair loss say very little beyond the fact that your genes or other factors are causing you to lose your hair. Other times, it may be an indication that you have other medical concerns which you should investigate and address. Is dandruff annoying or embarrassing? Yes. Is it a cause for worry or a sign of something more serious? Probably not. Dandruff is simply a visible sign that the skin cells of the scalp are producing new cells faster than normal. This results in excessive shedding of dead skin cells, which fall from the scalp as dandruff flakes. Dandruff can be related to treatable conditions such as eczema, psoriasis, stress, seborrheic dermatitis, or vitamin B deficiency. However, to date, there is no clinical evidence that dandruff is a symptom or cause of hair loss or any other serious conditions. Shedding hair. Even folks with full, robust heads of hair shed hair regularly. Our scalps shed anywhere from 50 to 100 strands per day. As such, noticing hair in your drain isn’t inherently a cause for alarm. You can perform a “hair-pull” test to get an indication (though not conclusive) about whether the amount of hair you are shedding is a sign of a hair loss problem. Graying hair. While anemia, thyroid issues, vitamin B12 deficiency, and vitiligo can cause premature graying, your salt-and-pepper hair is more likely the result of genetics rather than a poor reflection of your health. Balding individuals or those with thinning hair are particularly vulnerable to sunburn on the scalp. The consequences of sunburn and overexposure to UV rays include not only short-term pain but long-term skin damage and an increased risk of skin cancer. Too much sun can also turn your hair brittle, dry, and more prone to breaks and splits. Additionally, sunburn on the scalp can not only be the result of having areas of thinning or absent hair, it can also cause hair loss, at least temporarily. A deep or severe enough sunburn can lead to inflammation which in turn can lead to a short-term hair loss condition called telogen effluvium. If you are concerned about your hair loss and are ready to do something about it, we invite you to schedule a hair loss evaluation at the Hair Transplant Institute of Miami. Drs. Nusbaum and Rose are internationally acclaimed hair restoration surgeons with more than 40 years combined experience. Both Drs. Nusbaum and Rose are actively engaged in hair loss research and lecture widely. To receive a personalized evaluation and treatment plan, contact us online or call or office directly at 305-925-0222. Over 95 percent of hair loss cases are caused by androgenetic alopecia, a hereditary hair loss condition that affects over three million Americans annually. This condition causes hair miniaturization, a phenomenon in which hair becomes thinner and finer each time it progresses through the growth cycle. Eventually, the hair falls out and ceases to grow entirely. But when and how much hair loss occurs is often different in men than it is in women. Regardless of gender, however, the earlier one recognizes the early stages of androgenetic alopecia, the sooner one can take steps to slow or stop its progression and prevent further shedding. When Do the Early Stages of Androgenetic Alopecia Typically Manifest? Men are more likely to notice and experience pattern baldness earlier than women. 25 percent of American men see symptoms of male pattern baldness before the age of 21, approximately 66 percent of men experience some degree of loss by the age of 35, and 85 percent of men see significant thinning related to androgenetic alopecia by age 50. Most women, however, do not notice any signs of thinning or balding hair until the age of 50 or 60, long after it has already begun. In men, androgenetic alopecia follows a familiar, predictable pattern that is usually easy to notice when hair starts to thin or fall out. It starts with shedding in the frontal hairline that causes the hairline to gradually recede. This progresses to more pronounced hair loss across the top of the head, and finally toward the crown. In women, androgenetic alopecia progresses differently. Instead of losing hair in isolated areas, women’s hair loss tends to occur throughout the scalp, resulting in thinning hair that can be more difficult to detect than a receding hairline or bald spot on the top of the head. • Thinning hair. As noted, women lose hair all over the scalp, so keep an eye on any changes in volume or density throughout the entire scalp. • A wider part. When styling your hair, take note of any changes in the width of your center part. 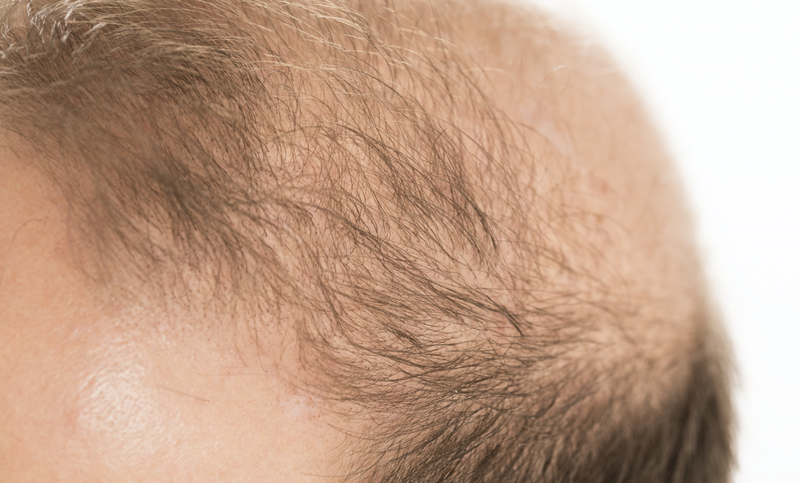 Widening may be an early indicator of hair loss. • Hair accumulation. If you notice a sudden increase in the amount of hair left behind on brushes, in the shower, or on your pillow, you are likely suffering from a hair loss condition which should be addressed sooner rather than later. Since androgenetic alopecia manifests itself differently in men and women, hair loss professionals use different metrics to identify and classify the early and subsequent stages of the condition. 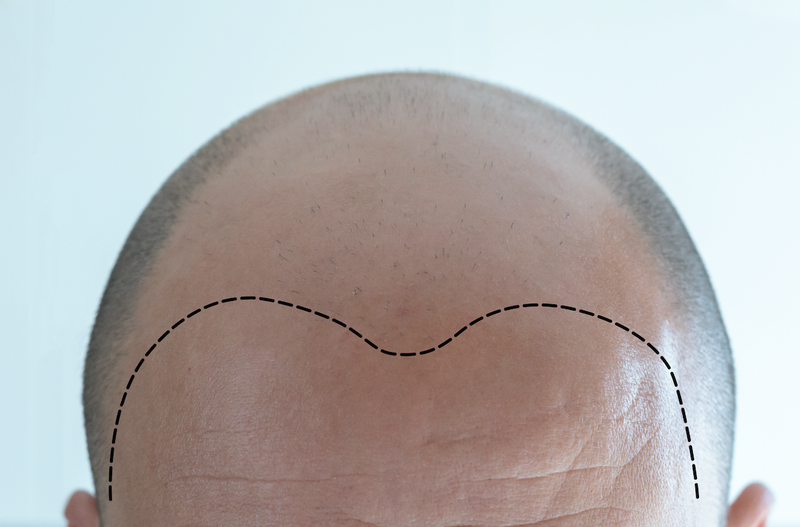 The Norwood Classification is used to characterize male pattern baldness, while the Ludwig Classification is used to diagnose female hair loss. For men and women alike, the first step towards addressing hair loss is arranging for a comprehensive evaluation as soon as possible. 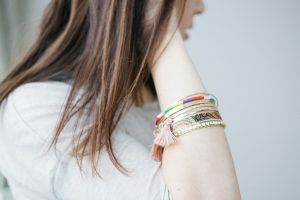 Early detection, diagnosis, and treatment provide the best chance of restoring your hair — and regaining your confidence. Schedule an appointment with the Hair Transplant Institute of Miami today by calling 305.925.0222. We look forward to assisting you.